Allow me to spin you a sad yarn. Well, it was a great night that just happened to end in the worst way possible. I graduated from college three weeks ago (!!!!). I spent the last couple of weeks of my college career tying up loose academic ends, desperately applying for jobs and, naturally, going hard. About a week before graduation, a friend of mine threw a graduation party, as graduation seniors tend to do. It was an apartment party during finals week, so there was no music to avoid incurring the RA’s wrath. But with 50-something drunk kids packed into a relatively tiny space, no one was really concerned about the lack of music. As the evening progressed and everyone became drunk enough to make poor life choices, a group of seniors decided it was time to check an item off our college bucket list. It’s a tradition to break into our football stadium that happens to be right in the center of campus. Convenient for intoxicated college kids who want to pretend to be badasses. In order to break into the stadium after dark, you have to find the gate that is raised JUST enough off the ground for a person to potentially crawl under without getting crushed. So we did that, easy enough. Getting out was a different story. I did the same thing I did to get in, crawling under the gate on my stomach. Both my shirt and a belt loop snagged on the gate, so I needed a little help escaping its clutches. I was out a shirt by the time I was on the other side, but I was so happy to be free that it didn’t really faze me. Then I reached into my pants pocket. Despite my fancy college education, I thought it would be a good idea to put my phone and flask in the same pocket. You know, a very fragile iPhone, with the screen facing toward the ground, right underneath a large metal rectangle. The phone looked like someone had shot it, with a round crack at the top and three smaller ones emanating from it. I assumed the flask had dug the phone into the cement as I tried to escape the stadium. I had never been more ready to graduate college than that moment. Four agonizing days without a phone and $170 later, I had a shiny new iPhone 5. When my parents asked what happened, all I said was, “It got crushed. Let’s leave it at that.” They didn’t ask any more questions, I didn’t provide any answers. The sad part of all this is I’d totally do it all again. Maybe I’d organize the contents of my pockets a bit differently, but if nothing else, it was a great bonding experience between seniors and an overall fun night. 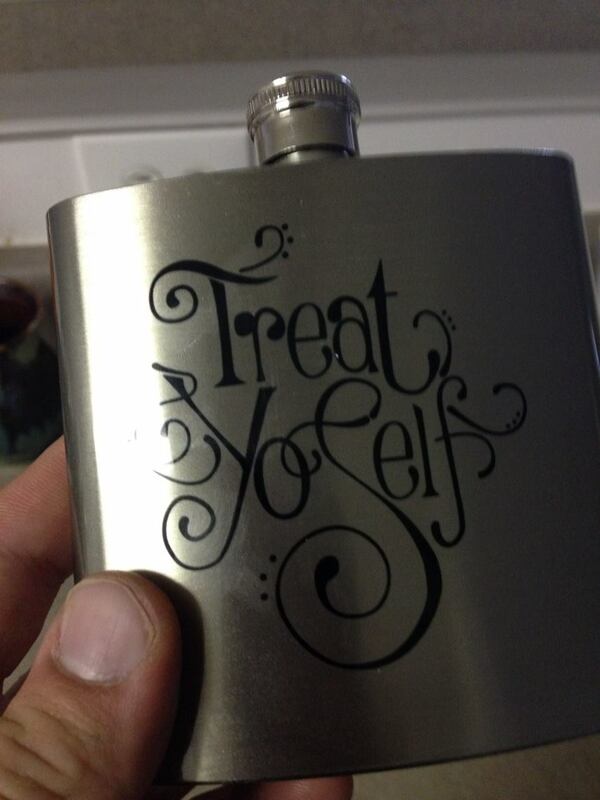 But I still can’t bring myself to touch that flask again. Moral of this story: keep your phone away from your flask at all costs. Oh, and breaking and entering is wrong, no matter how drunk you are.